Steve Vinson, lead singer for The Manny Charlton Band and the Audio Crew at Overdrive Productions want to offer our sincere condolences to Dimebag’s brother “Vinnie Paul”, Darrell’s family, his former members of Pantera, and band mates of Damageplan. Steve Vinson had the opportunity to meet Darrell and jam with him in November of 1996 (when Steve’s band played at Sharkey’s in Fort Worth, Texas). 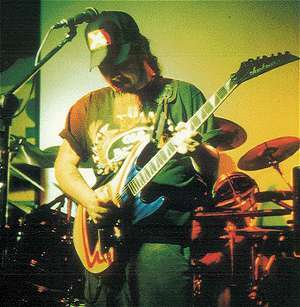 Darrell Abbott, better known as "Dimebag", was the son of country-western songwriter Jerry Abbott. Dimebag was born in Dallas, Texas, on August 20, 1966. Because of his father's involvement in the music industry, Dimebag took guitar lessons from famous country music stars at a very young age. As a teenager he performed in local talent competitions and contests in the Dallas Texas area. Eventually, having won them all, Darrell was not allowed to enter amateur musician contests. Before forming the band Pantera along with Phil Anselmo, Rex Brown, and brother Vinnie Paul in 1982, Dimebag Darrell played in a variety of nightclubs and bars in the Dallas / Fort Worth Texas area. Dimebag was shot to death on December 8, 2004, during a performance by Damageplan, at Alrosa Villa - Columbus, Ohio. A crazed Pantera fan who was apparently distraught over the break-up of Pantera, shot Darrell Abbott 4 times on stage while he was performing. 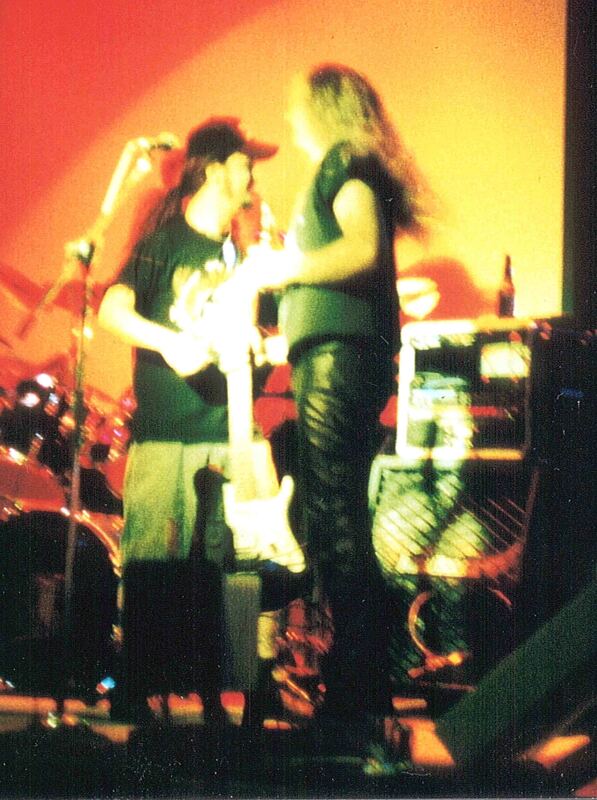 Steve Vinson would like to share some personal photographs with fans of Dimebag Darrell Abbott. 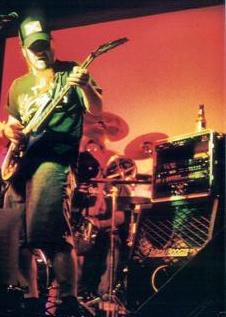 Photos were taken in 1996 during a performance by Steve's band at Sharkey's in Dallas Texas. Darrell was extremely nice, down to earth, not the typical rock star ego maniac. Steve added that Dimebag came up on stage and played some KISS tunes and an Eric Clapton song. The pictures taken here are of “Dimebag” Darrell jamming on two of Steve's custom Jackson guitars at Sharkey’s in 1996. To suddenly lose such an extremely nice person, talented guitarist, and someone who brought the world so much enjoyment with his music is very very sad. We all mourn the loss of Darrell. You'll be missed Dimebag!